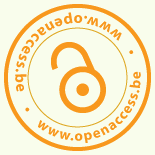 Achieving Open Access through self-archiving your work is commonly referred to as ‘Green Open Access’. Researchers publish their article in a journal and deposit an open access version of their work in a repository. Repositories are digital archives, gathering either the research output from an institution (institutional repository) or the research output from one or more scientific disciplines (subject/disciplinary repository). Specialized repositories for research data can also be found – usually but not necessarily specialized per subject. Make sure that you have the post-print of your work. This is the final version – after peer review! – but without the editor’s layout. In other words: while the article may not have the same appearance as when it is published in the journal, the content is identical. Most publishers allow this – although it is often only mentioned in small print in your publishing contract, but to be sure you can do a quick check on the SHERPA/RoMEO website. ‘Green’ and ‘Blue’ codes indicate that it’s okay for you to self-archive the post-print (some publishers allow self-archiving of the publisher’s version as well! ). Most publishers allow self-archiving in repositories, although they often ask to deposit an author’s final version (post-print, which is the final peer reviewed version without publisher’s layout) and sometimes impose an embargo (usually 6 months for STEM and 12 months for HSS). If your publisher does not allow self-archiving you can ask for an amendment to your publishing agreement. Publisher’s policies relating to this can be checked at the SHERPA/RoMEO website.